In-app payments become increasingly important. 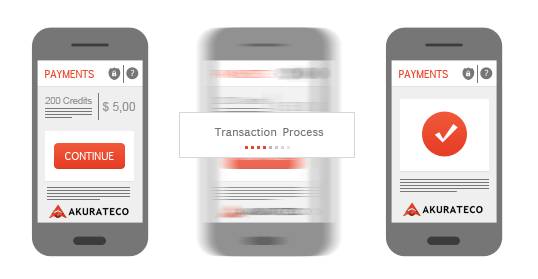 They enable you to engage process and fulfill a customer transaction immediately within any app on any device. Fast, personal and completely customizable, an in-app store experience is your path to an exclusive sales relationship with your customer — one that can generate sale after loyal sale. We have developed an easy to use protocol that will enable in-app payments, wallet payments or any other app based mobile payment option you require. Akurateco provides unique services for a quick and desirable in-app purchasing experience. We provides the opportunity to maximize revenue by embedding a personalized shopping and checkout experience directly within your app. In-app purchasing enables you to decrease barriers to shopping and checkout completion.